Leave Your Mark By Leaving No Mark At All. ^ Excludes official fees, taxes, and dealer charges. This sticker allows single-occupant use of HOV lanes in California. Gasification is a process in which organic materials, like crops and livestock waste, are converted into hydrogen. The organic materials are placed under high temperature, which triggers a reaction that separates the hydrogen. Steam reforming of methane is the most common method of hydrogen production today. It combines methane with high-temperature steam to trigger a reaction and separate the hydrogen. And while most methane today comes from natural gas, we are continually looking to process methane from renewable sources like landfills and waste treatment facilities. Hydrogen can also be produced by separating water into its two primary elements – hydrogen (H2) and oxygen (O2). This process, known as electrolysis, passes an electrical current through the water to extract hydrogen. The electricity can be sourced from clean, renewable energy such as wind, solar, or hydro. Like any turning point in history, the hydrogen movement comes with its challenges. It needs support from the progressive motorists, fuel providers, and alternative fuel advocates across the country. At the moment, hydrogen might not be an option for you, but we are working hard to change that. The state of California initially earmarked $200 million for up to 100 hydrogen stations across the state. Additional funds have been allocated to increase that target number to 200 stations by 2025. By working with government agencies and committing millions of dollars to hydrogen fuel providers like Air Liquide, Linde, Shell and FirstElement Fuels, we are helping build an infrastructure that supports a growing community of FCV drivers. vehicle sale or lease commencement date, whichever is earlier. Fuel card is nontransferable. The Mirai is a hydrogen-powered fuel cell vehicle that must be fueled at hydrogen stations conforming to the latest SOCIETY OF AUTOMOTIVE ENGINEERS (SAE) hydrogen fueling interface protocol standards or laws that may supersede such SAE standards. Refer to the Mirai Hydrogen Stations Locator App in Entune, www.toyota.com, or call Toyota customer service at 800-331-4331 for information on hydrogen fueling stations available to Mirai. 2016 EPA-estimated 67/67/67 city/hwy/combined MPGe for Mirai and 312-mile driving range. Actual mileage will vary. Range measurement pursuant to SAEJ2601 standards (ambient temperature: 20°C; hydrogen tank pressure when fueled: 70 MPa). Fueling time varies with hydrogen fueling pressure and ambient temperature. Federal Tax Credit for qualified buyers. Hydrogen Fuel Cell Tax Credit as of February 1, 2016. Federal incentives are for informational purposes only. They are subject to change without notice, and do not constitute tax or legal advice. 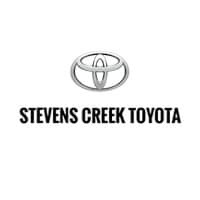 Government incentives are not within Toyota’s control, and all persons considering use of available incentives should consult with their own tax professional to determine eligibility, specific amount of benefit available, if any, and further details. assistance for two years, regardless of mileage. The Mirai enhancement of ToyotaCare is valid only at authorized Mirai Fuel Cell dealers in the continental United States. See an Authorized Mirai Fuel Cell dealer for details and exclusions.